The Hidden Mysteries: Return to Titanic game starts off like any other game of this kind does, which is with a little introduction about what was supposed to happen while being on board the most amazing ship to come out of the 20th century, the RMS Titanic. 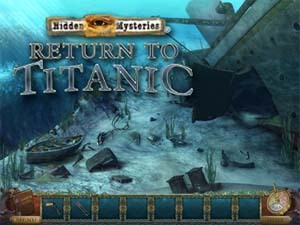 All of these hidden object/mystery games always have a story that includes a plan, and like the maiden voyage of Titanic itself, something goes horribly wrong, and has to be resolved by the player. However, there is a twist to the Hidden Mysteries: Return to Titanic game that will definitely make it more exciting for Titanic enthusiasts that no other game that has come before it. The player assumes the identity of a journalist who wants to get up close and personal with the very famous rich passenger that are on the maiden voyage heading from England back to the United States. The name of the richest man on board is Robert Ashley, which every Titanic student knows is not correct because the richest man on the real Titanic was named John Jacob Astor. However, the player has a goal to meet up with this very rich man, and the beginning of the game just dives right into that as the player is already tipped off about the famous man and a late night meeting up on deck. The player is provided with things to help them play the game like a journal book that information goes into, and a detailed blueprint of the ship. The graphics are pretty impressive in the game, and seeing the Grand Staircase in its beautiful color, and with people on it, is a great way for the player to dive right in and start the game. 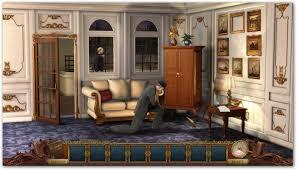 As if solving puzzles and looking for hidden objects is not enough, there is one part of the Hidden Mysteries game where the player has to speak to a ghost named Diane. This is quite an opportunity for Titanic enthusiasts to get the chance to see the ship underwater and in a state of disrepair from the sinking, which is something that has always been a curiosity for those that wanted to know what the shop looked like when the sinking first happened. The images are quite striking of the ship’s interior, and the images are also pretty haunting to see the beauty of Titanic gone, and for one brief time, the player gets to move around underwater with the Titanic wreck, which is not something that can be done in real life. 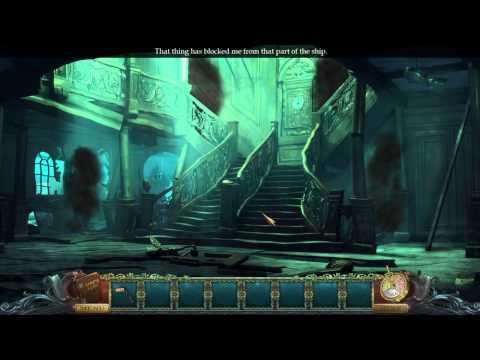 The player has to help a ghost named Diane, and then they return to the Titanic looking intact, and then the game continues on to the next phase of the game. However, this is not the first time that players have to save the souls of people that were on board, the player returns back to the wreck of Titanic multiple times in order to save various people’s souls including Captain Smith, and their own soul, before they finally complete the game. 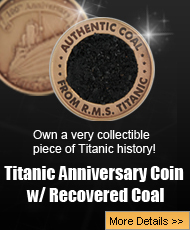 There are dozens of Titanic games, and the majority of them do handle the fact that the most famous ship in the world struck and iceberg and sank with over 1500 people still on board it. 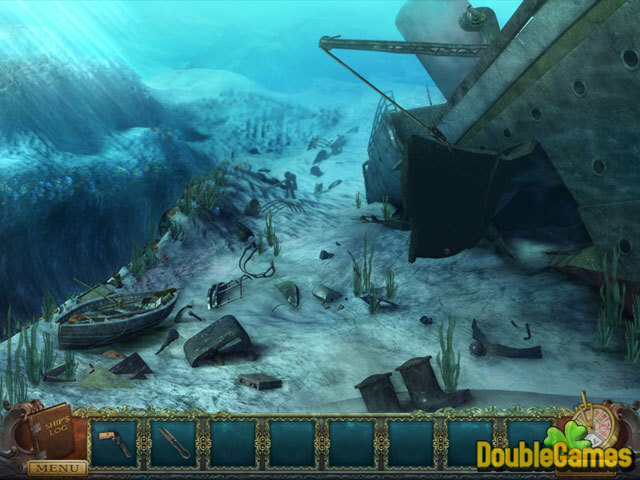 While some games do incorporate this fact into their games, the Hidden Mysteries: Return to Titanic game goes back and forth between the wreck and not, which is a very unique way that the game handles the sinking itself. For those Titanic enthusiasts that study the ship constantly, and look into everything involving it, the Hidden Mysteries: Return to Titanic game offers players a challenge, a fun story, and the chance to find hidden objects while on the board the most famous ship in the world. The game is available to try on the Big Fish website for the first hour, and then they have the chance to buy it, and for anyone that loves hidden objects, and solving a mystery, the setting, the supernatural element, and the story makes for a really fun game that everyone is going to enjoy no matter how long it takes to play it.